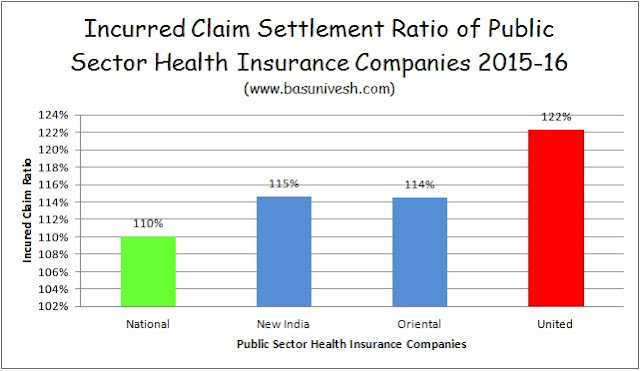 Home > Insurance Claims > IRDAI Incurred Claim Ratio 2015-16 - Public Sector Health Insurance Companies..! IRDAI Incurred Claim Ratio 2015-16 - Public Sector Health Insurance Companies..! Public Sector Health Insurance Companies..! IRDAI recently published the Annual Report for FY 2015-16. Let us find out the IRDAI Incurred Claim Ratio 2015-16 and which is Best Health Insurance Company in 2017 in India. Incurred Claim Ratio ( ICR) is a ratio of the total value of claims paid or / settled to the total premium collected in any given year.